Jewish War Veterans (http://www.jwv.org/), Blinded Veterans Association (http://www.bva.org/) , Vets Group (http://www.vetsgroup.org/) (their partner/affiliates) and also other veteran service organizations, military service organizations and veteran business owners nationwide. VetBizCentral is a premier non profit organization dedicated to helping create, develop, and retain veteran-owned small business enterprises. It is third oldest (Region V) Veteran Business Outreach Center in the country since 2005 serving Michigan, Ohio, Indiana, Illinois, Minnesota and Wisconsin. It’s all about “Veterans Helping Veterans”. 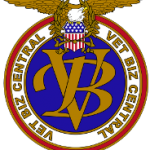 VetBiz Central services include assisting veterans, active duty, Guard and reserve members in the formation and expansion of their businesses through custom entrepreneurial training and counseling, networking opportunities, mentoring programs and activities, advocacy services, and procurement counseling. 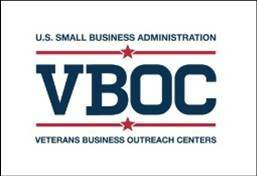 The Veterans Business Outreach Centers (VBOC’s) – Designed to provide entrepreneurial development services such as business training, counseling and mentoring, and referrals for eligible veterans owning or considering starting a small business. VBOCs conduct entrepreneurial development workshops dealing specifically with the major issues of self-employment, usage of the Internet as a tool for developing and expanding businesses as well afforded the opportunity to work directly with a business counselor. The National Veteran Small Business Coalition (“NVSBC”) the premier organization for all veteran owned firms respecting federal market acquisition and procurements is now a strategic partner and supporter. The National Veteran Business Development Council (NVBDC) is a veteran nonprofit 501C3 organization dedicated to serving American Veteran business owners through the advancement of opportunities and growth for veterans and service disabled veterans. It is the only third party Veteran Owned Business Certification program in the country created to ensure national level credible and reliable certifying processes for properly validating veteran business ownership and control, as well as offering the country’s most effective veteran-corporate forum for stimulating sustained mutually beneficial commerce. The National Veteran Owned Business Association is the premier national organization dedicated exclusively to representing the interests of veteran owned businesses nationwide. Through its active advocacy at the state and federal levels and with/throughout government and corporate America, NaVOBA creates/enhances business opportunities with for all vetrepreneurs. 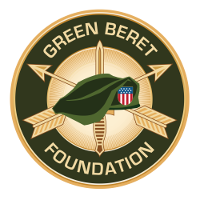 The Green Beret Foundation provides immediate and long term support to our wounded, their families, and to the families of our fallen, as well providing transitioning tools/resources to be successful. “The Next Ridgeline” delivers transition empowerment and preparedness: (communication) teaching skills that translate vet experience to corporate America; (opportunities) leveraging to relevant organizations/foundations; and (networking) providing access to experts/resources to navigate the challenges. The US Army Ranger Association, Inc. (USARA), is a nonprofit (501 (c) (19)) organization dedicated to preserving the heritage and spirit of the U.S. Army Rangers by strengthening relationships among all US Army Rangers – past, present, and future; fostering camaraderie among those who have earned the title US Army Ranger; and providing an extended community for all US Army Rangers and their families. USARA also promotes and supports the preservation, protection, and recording of the history and accounts of past Rangers as well as the continued high standards of leadership excellence, training and equipment, and professional competence of current and future Rangers. U.S. Army Rangers. Rangers Lead the Way. The National Resource Society for Women Veterans is a non profit membership organization with a mission to enhance and develop careers of women – support, mentoring, and the tools needed to empower them to achieve in life. NRSWV specializes in helping women veterans transition into the working world – serving women veterans with care, transforming their lives so they continue to be who they want to be. The Rosie Network is a non-profit organization founded and operated by military veteran spouses providing a readily accessible search platform to promote and match up veteran family-owned businesses to the public. The Network also provides access to veteran focused support & other resources – all at no cost to the user. 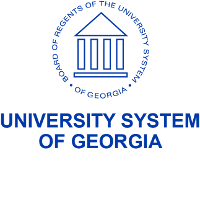 Military Affairs, The University System of Georgia provides guidance, resources, and support to aid transitioning active duty veterans to civilian lives, educationally and beyond. FedMine, the primary federal market research and business intelligence service/site (only real time federal spending data and contractor information source in the nation) (http://www.fedmine.com/) (serving veteran contractors nationwide including the US Veteran’s Administration) is a prime sponsor and partner. Given the sheer size of the roughly $800 billion spent by the federal government every year, federal professionals, government officials, congressional lawmakers, and large and small businesses of every kind require quick access to critical information on where the federal government is spending its dollars, and be able to do so with minimal or no research. The premier federal government contract information service written especially for small businesses,minority-owned and women-owned businesses, veteran- and SDV-owned businesses, SBA 8(a)-certified companies and HUBzone businesses. 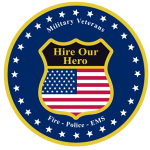 VetJobs is the premier national and leading Internet job board (veteran owned) assisting companies throughout the country to reach, recruit, and hire the best possible candidates from the military veteran marketplace – seasoned candidates with diversity, leadership skills, technical skills, security clearances and all with. VeteransList.US is the premier FREE national directory of and for Veteran Owned Businesses created specifically to speed, facilitate veteran connectivity in all aspects of business. VL seeks to help veteran owned businesses to efficiently succeed through finding the best partners and clients in order to better connect, cooperate, succeed, grow, and prosper. VOBOhio is an Ohio-based non profit organization focused upon military veteran and business community empowerment. Through our Vetrepreneur Academy, Last-Mile Training, Vet Town Business Co-Operative, and connected services through the regional communities, we create successful veteran transition assistance programs for critical employment needs (preparedness through hiring), directly encourage, stabilize/grow veteran owned businesses, and engage/connect community business interests to maximize beneficial outcomes for all stakeholders. VetLikeMe is the only disabled veteran created, owned, and operated national news publication devoted solely to veteran owned business. Service Disabled Veteran Owners Small Business Network (NCA) is an all volunteer 501(c)19 non profit organization comprised of service disabled, veterans and veteran Supporters who meet monthly in Danville, CA. 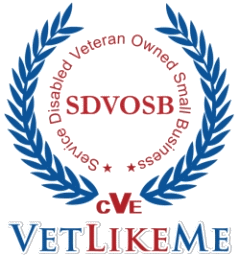 The SDVOSB Network advocates for policies that support disabled veterans in business, providing a website, central network resource to connect and further these goals.. WAVE Women as Veteran Entrepreneurs – “Catch the WAVE” – Providing forum for veteran women owned small businesses promoting teaming, new business opportunities, networking, and connecting to successful business strategies. Women Veterans Business Center – A primary national women veteran’s organization. 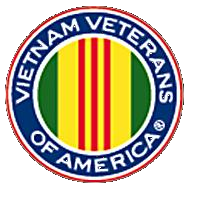 The Veterans Enterprise Training & Services Group (VETS Group) is a DC non-profit 501(c) 3, community-based organization, headquartered in Washington, D.C providing economic empowerment support for veterans/their families through education, entrepreneurship, mentoring, and employment opportunities. Military Connection is a woman-owned business located in Simi Valley, California, which connects highly viable candidates with government, federal jobs and outstanding civilian employers. Our connectivity website offers comprehensive online directory of military resources and information. as well as education information including military schools, military education and federal schools. Veterans And Military Business Owners Association (VAMBOA) is your non-profit veteran business trade association that promotes and assists Veteran Business Owners, Service Disabled Veteran Owned Businesses (SDVOB) and Military Business Owners in connecting with private corporations and government agencies through networking, collaboration, mentoring, education, and advocacy. * HCC Fellowship This is HCC’s Flagship program that only accepts veterans who embody character, leadership, ambition, and most importantly – commitment. * Operation Job Placement – apply for OJP if you are looking for a job or career change. 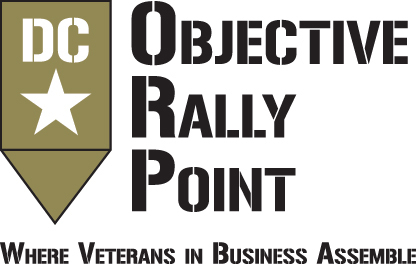 Objective Rally Point is a local networking forum for military veterans that meets monthly at the Army Navy Country Club in Arlington, Virginia. ORP is built on the idea that when Veterans work together anything can be achieved. ORP was founded and is hosted by Lee Dougherty, a service connected disabled veteran and chair of the Government Contracts Practice Group at law firm of Fluet Huber & Hoang (“FH+H”) which provides wide ranging legal representations to businesses and non-profits, especially Veterans and Veteran business owners. W.O.M.E.N. – Women’s Online Media & Education Network The Women’s Online Media and Education Network (W.O.M.E.N.) is premier mutli faceted educational, marketing, advertising, branding, and empowerment platform primarily focused upon and serving women business owners and entrepreneurs (as well as others including veterans) nationwide. The platforms have been established to provide women business owners/veterans greater exposures and more balanced communications in every aspect of their endeavors. Patriot Mission is a national initiative to rebuild America through the power of small business. As outlined in our multiple category best selling book The Patriot Mission Story (http://www.amazon.com/PATRIOT-MISSION-Story-Steve-Olds-ebook/dp/B00FWCAW9K), we have launched a for profit, non-partisan national campaign using a bold blueprint that supports and encourages sustainable veteran independence and self-reliance through entrepreneurship and small business ownership. Sterling Institute a national industry pioneer in learning, applied training and development. Co-Founded by two veterans for the purpose of raising funds to construct a state of the art trauma facility for inpatient care of PTSD, addictions and other mental health issue. Making ‘home’ all that it should be for our fellow brothers and sisters and their families. American Pride USA Employment, Empowerment, Encouragement, and Practical Small Business Education for Disadvantaged Veterans towards Self-reliance. Project Opportunity is a free veteran ten week intensive entrepreneurship training program designed to thoroughly prepare and launch veterans into successful business ventures. Operation Military Resources a highly unique, comprehensive compendium/compilation – a vital information resource for all active military members, veterans, retirees and most especially their families with thousands of up-to-date resources and organizations that help and support military families! OIF Veteran Community is consortium of volunteer veterans and veteran organizations dedicated to directly assisting and supporting the advancement of veteran rights, health care (dependents as well), benefits, and assisting transitioning veterans and their families regarding employment, entrepreneurial, and/or business opportunities. Established in 2009 all services and support are provided free. OIF has a specific focus to establish a comprehensive Veteran Bill of Rights (benefits and health care), all underlain with creative best use of available resources/tools that achieve actual results for veterans and their families betterment. 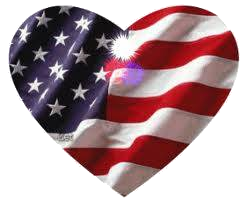 Patriotic Hearts is a premier national non profit uniquely providing essential services and assistance to US veterans and their families to include its free HirePatriots.com Job Board, transitional preparedness training, personal, career, and entrepreneurial counseling/mentoring, and family/kids programs for family betterment. 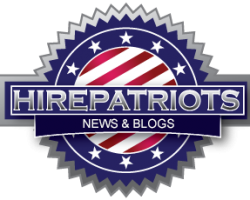 It’s Hire Patriots programs provide desperately needed short term (often one day stints) employment “safety nets” for active military, Reserves, Guard and veterans – all urgently needing critical, short term income generating funding for themselves and their families (over ½ million matches to date). Supported entirely through individual donations, corporate sponsorships, and grants, all of its services are offered at no cost. Awards include Presidential awards (“Congressional Medal of Merit” – President G.W. Bush and “National Service Medal’ – President Obama), ABC TV’s Leadership Award, and People’s Magazine “Heroes Among Us” Award. In order to continue these vital programs, Patriotic Hearts / Hire Patriots need your help and support. A Purposed Transition Inc.TM is 501c3 (“APT”) designated non-profit organization designed to assist people in discovering their purpose through career and entrepreneurship exploration. Through its own Institute, APT provides on line and training facility specialized career, personal, and entrepreneurial support, assessment, guidance, and transitional purpose/success support. Through its annual Purpose Discovery Boot Camp, APT assembles and delivers invaluable resources for veteran transitions to careers, employment, and entrepreneurship – the core mission always to help move people’s goals, purposes and dreams from hope to reality. 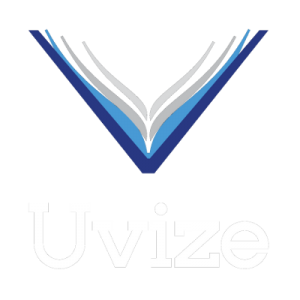 Uvize is a premier national provider of innovative software platforms that facilitate, help, and catapult transitioning veterans through their college and universities journeys. Partnering with institutions of higher learning, Unize creates virtual veteran centers providing community connectivity platforms for veterans with classmates, mentors, and advisors. 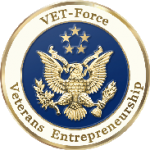 * The Vetrepreneur Institute: online entrepreneurship training and content for veterans. * Mission: Update – newsletter highlighting inspirations, resources, tools, events, benefits, and content for vetrepreneurs. * Pathfinder – connecting members to the best veteran and entrepreneur resources. * Mission: Everywhere – a Member to Member online peer community. Street Shares is a premier veteran owned social business lending marketplace/investor conduit source focused to aid and support veteran owned businesses nationwide. It directly connects veteran small business to investor support capital. It provides a unique business financing pathway as a distinct and advantageous alternative to bank or other funding options. Unlike those other options, Street Shares provides “unsecured, no collateral”, no “upfront fees” immediate “turn around” lending. “‘Shark Tank’ meets eBay for small business” – Washington Business Journal. Vetrepreneur Magazine is the only national publication in the country dedicated exclusively to covering the veteran-owned business movement. As the watchdog of the government, advocate to corporate America and journal connecting the community of vetrepreneurs across the nation, NaVOBA and Vetrepreneur are the voices of the veteran business movement. National Council for Aging Care is an organization focused upon providing educational resources for older veterans and adults who want to live independently, plan your finances, and take charge of your health care.